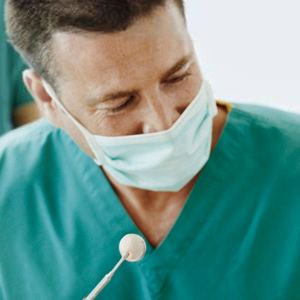 Paediatric Dentists are registered as specialist dentists and must have completed at least three years of additional study after their general dentistry training. The additional training is provided under the supervision and direction of specialist dental and medical staff in various hospitals and university clinics, so the Paediatric Dentist has a broad range of experience in managing the diverse oral health care needs of children. A Paediatric Dentist must register their specialist qualification with the Dental Board in their jurisdiction and restrict their practice to Paediatric Dentistry. Can any Dentist call themselves a Paediatric Dentist? Physical and psychological growth and development of children from before birth to adulthood. Existing research, best practice guidelines and evidence based treatment related to children’s oral health. Identify things that are causing dental disease and to know how to help children and their families have healthy teeth and mouths. Deliver specialised techniques for managing anxious and/or young children including using special approaches for giving local analgesia and dental sedation as well as providing dental treatment under general anaesthesia. Treat children who have medical, physical and intellectual conditions including those with behavioural challenges such as Autism and ADHD. Paediatric Dentists are able to provide comprehensive care under nitrous oxide sedation in the dental chair or under general anaesthesia as a short day-stay procedure. Enabling your child to cope well with their treatment is our highest priority, and will ensure they are happy to visit the dentist in years to come. Many children with serious medical or genetic conditions require dental care in conjunction with other medical doctors and allied health professionals. Dental health has significant impacts on general health, and Paediatric Dentists understand the importance of an oral health care plan that is tailored to your child’s needs. Paediatric Dentists are happy to see children from birth for a variety of neonatal oral conditions, checking oral and facial growth and development, eruption of teeth, early guidance on when and how to brush for young children and nutritional advice for toddlers and young children to minimise decay risk in the future.